If the Natural Look of Wood is a Priority, Use Cedar. If the natural look of wood is a priority, use cedar. The heartwood of the tree (the deeper colored red part, not the white sap part) is rot resistant. Cedar wood produces lengths of timber with straight grain, which makes it easy to cut, saw and nail. A cedar timber is highly resistant to splitting and its heartwood has natural decay resistance. The low density of cedar gives a superior insulation value. It is light weight, easy to work with, easy to finish and possesses outstanding dimensional stability. Enhances the Beauty and Value of Your Living Space. Cedar is durable, lightweight, and easy to work with. 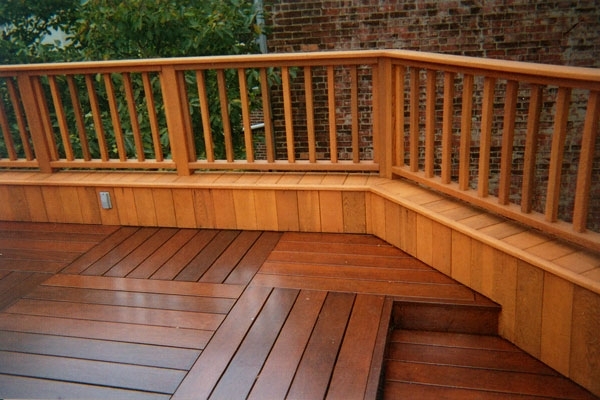 Using the natural look of Cedar deck railing components enhances the beauty and value of your living space. 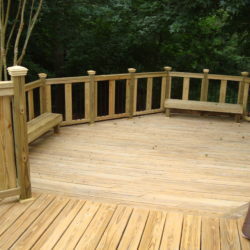 Cedar railing is naturally resistant to rot and decay. This softwood can be easily cut, shaped, planed, nailed, glued, and sanded. There Is No Substitute for the Natural Beauty of Cedar. 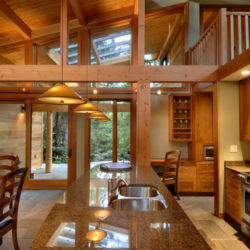 Aesthetically, there really is no substitute for the natural beauty of Cedar. Imbued with decidedly crisp yet superbly rich tonal properties, Cedar can create sublime outdoor sanctuaries. 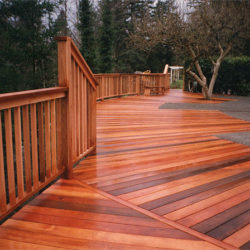 Cedar is moisture resistant and comes in various textures, colors and sizes. 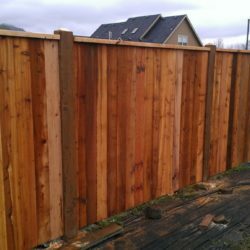 It is available in several lumber grades, including clear and knotty grades. Well-maintained cedar has a life expectancy of 40 years. 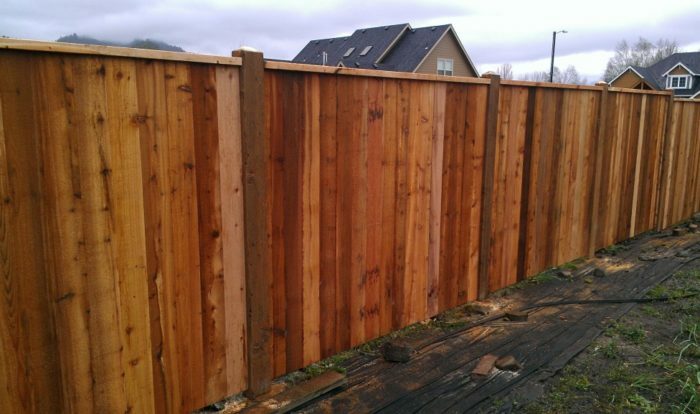 Durable Western Red Cedar is the most commonly used variety of cedar for fences and gates. Exceptional Beauty Meets Character and Longevity. 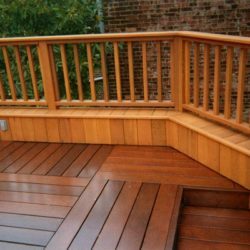 Cedar doesn’t readily absorb moisture – and, since moisture is what creates twisting and splitting, cedar decking tends to lie flat and straight. 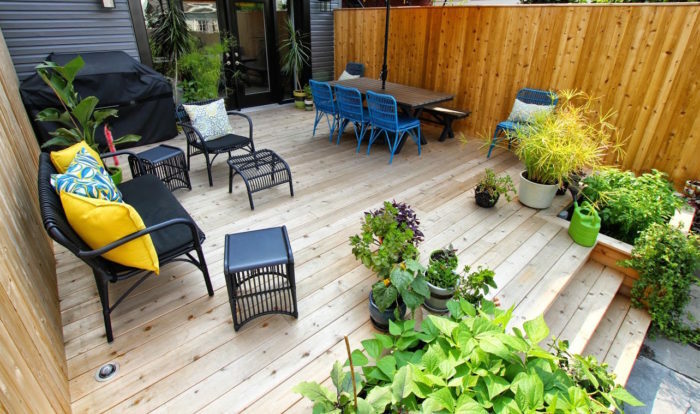 Western Red Cedar decking has unique, natural performance characteristics and exceptional beauty that bring warmth, character, and longevity to deck projects. Project Prestige with an Enduring Beauty. 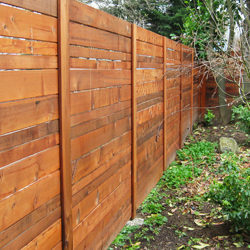 Western Red Cedar is ideal for siding as it has a fine-grain fiber. There are various profiles to complement any architectural style. 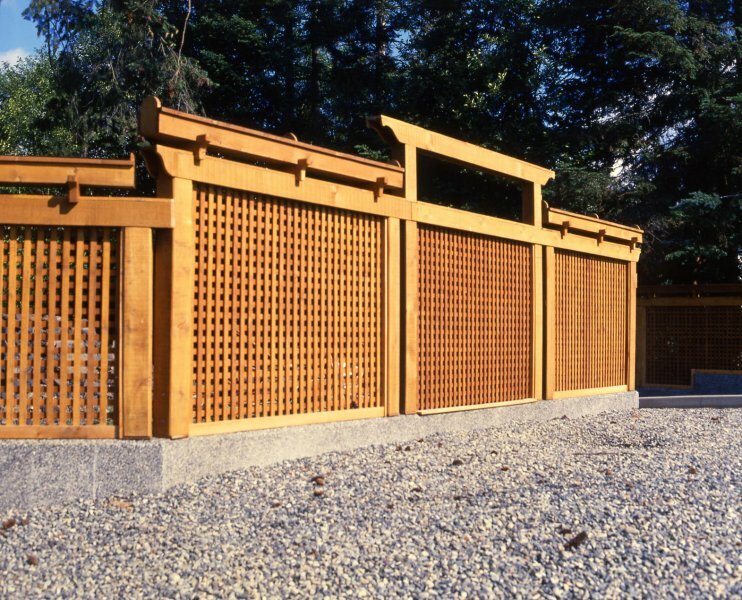 Western Red Cedar projects prestige with an enduring beauty. It's naturally durable with excellent dimensional stability for both exterior and interior designs. 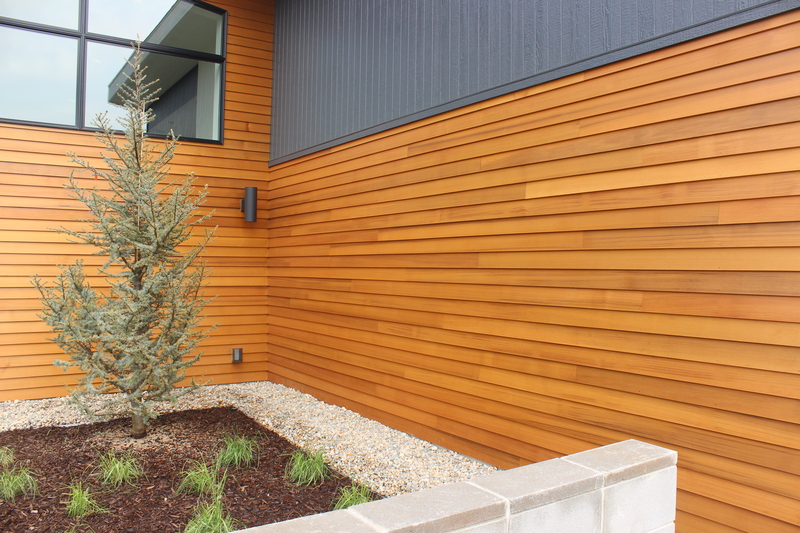 Cedar doesn’t readily absorb moisture – and, since moisture is what creates twisting and splitting, cedar siding tends to lie flush and straight. Western Red Cedar siding has unique, natural performance characteristics and exceptional beauty that bring warmth, character, and longevity to siding projects. The Rich Look of Wood for Any Home. LP Smartside Siding is engineered to perform beautifully in extreme climates and resist damage from impacts. It offers all the warmth and beauty of traditional wood siding, along with the advantages of our treated wood technology. Our advanced processes actually improve upon nature, creating siding panels that are far more durable, dimensionally stable and consistent than traditional wood materials. 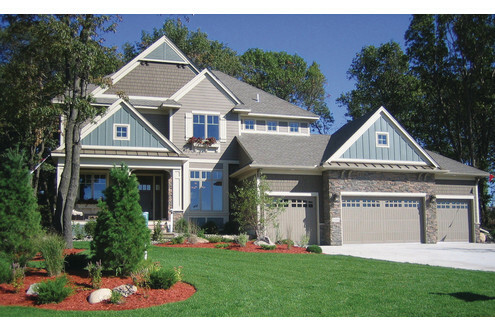 LP Smartside Siding helps you achieve the look you want while saving time and money during installation. If you can dream it, LP SmartSide Siding can make it a reality. Get the style you want for a truly custom look. A Global Leader in Engineered Wood Products. For more than 40 years, LP products have been engineered to perform in a variety of applications. Builders and homeowners use LP products primarily in new construction, repair and remodeling, and manufactured housing. LP SolidStart LSL installs like traditional lumber, but surpasses it in strength and consistency. It’s strong, straight, and ideal for a variety of applications. Long lengths and uniform dimensions reduce job-site waste and low moisture content reduces shrinking. LP SolidStart LVL surpasses traditional lumber for dimensional consistency and load-carrying capacity. Ideal for longer spans, it’s available in up to 60′ lengths and resists warping, twisting, bowing, and crowing. 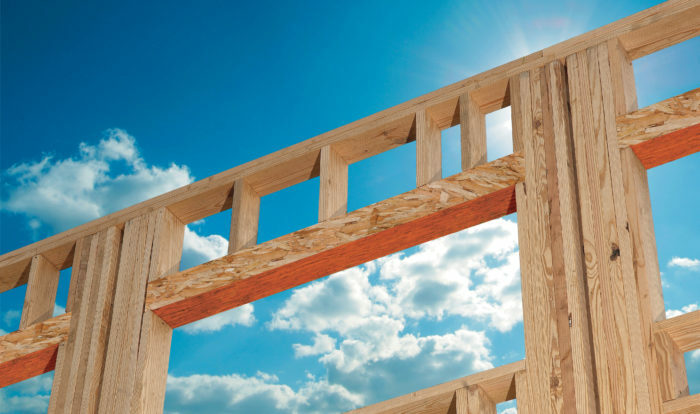 LP SolidStart I-Joists are lightweight, straighter, and more uniform in strength, stiffness, and size than traditional lumber. They also offer wide flanges for greater stability. Armor for Your Home Against Nature’s Worst! Armor for Your Home Against Nature's Worst! With 100% focus on cement technology, Allura’s proprietary fiber cement formula has been refined through years of experience around the world, and creates a natural looking wood grain that is unmatched in both looks and performance. Northwest Factory Finishes proprietary Armorshell color finishing process creates a beautiful look for your home that will stand out for years to come. PPG Machine Applied Coatings, the industry leader in building material coatings, provides NWFF one of the broadest color spectrums for pre-finish design in the market. With 22 vivid solid colors and 8 Timber Series colors to choose from, there’s an option for everyone and every style. A Smooth Your Eyes Can Feel. MiraTEC Treated Exterior Composite Trim provides the perfect accent to any exterior cladding – cement fiber, vinyl, brick, OSB, hardboard, wood, or stucco. You have the option of a smooth side and a textured side for maximum versatility. It’s factory primed with a mildew-resistant primer on four sides for easy painting. MiraTEC trim presents wonderful possibilities for dentil trim, gables, corner posts, porch trim, fascias, windows, doors, column wraps, decorative trim, and other non-structural architectural elements. A Good Choice for Economy and Longevity. 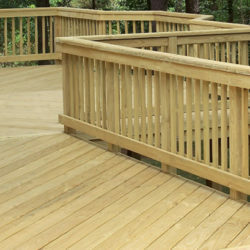 Pressure-Treated decking lumber is a good choice if you are wanting for economy and longevity. Pressure treated wood is stainable, hard enough to resist abuse, and many brands carry a lifetime warranty. 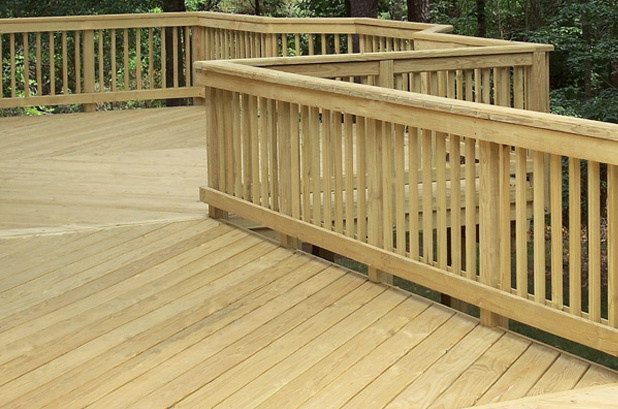 The most common residential deck railing designs are built on-site using pressure treated lumber. Pressure-treated wood is stainable, hard enough to resist abuse, and many brands carry a lifetime warranty. Stainable and Hard Enough to Resist Abuse. 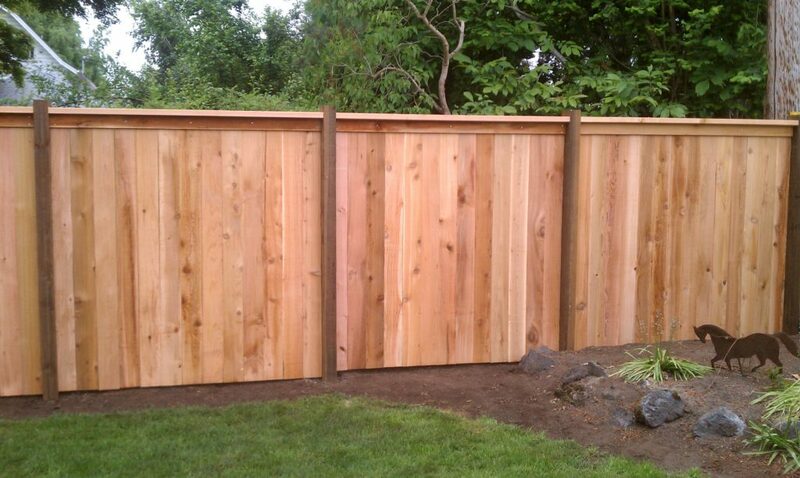 Pressure treatment makes wood more resistant to varying climate conditions, which makes the fence, last longer. The process used to apply certain types of preservative chemicals deep into the wood make it resistant to decay and insect damage. 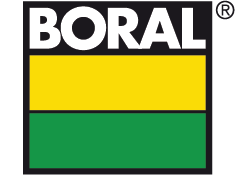 With this unique product offering, Boral invites you to build something great. Boral TruExterior has created an entirely new category of exterior siding and decorative trim that offers phenomenal performance, remarkable workability and a lasting look without the limitations that plague other exterior siding and trim products. Designed to be used in non-load-bearing applications, TruExterior Trim is suitable for ground contact, which makes it ideal for exterior trim applications such as fascia, door trim, soffits, and rake boards. Beadboard is perfect for porch ceilings, soffits, and other decorative wall applications. Versetta Stone® panelized stone veneer is in keeping with Boral’s high standard of excellence. With no need to paint, coat, or seal, it is backed by a 50-year limited warranty including one-time transferability. Versetta Stone® is a mortarless, cement-based manufactured stone veneer with a unique, panelized design that is installed with mechanical fasteners, adding the beautiful detail of traditional stone masonry with a modern installation method. Let’s Talk About Complete, Superior Weather Protection. LET'S TALK ABOUT COMPLETE, SUPERIOR WEATHER PROTECTION. Start Now to Reduce the Risk of Moisture Damage and Mold Growth. At the heart of the system are TYPAR Weather Resistant Barriers (WRB) which act as air and moisture barriers, while allowing moisture vapor to escape from the wall cavity. Installed before the exterior siding, TYPAR WRBs also protect the structure from Nature’s harshest elements with exceptional tear strength and ultraviolet stability. Natural Beauty in a Range of Natural Colors. EverGrain offers a deep-lasting, wood-like grain created by various grain patterns for natural beauty in a range of natural colors. There is no need for paint or stain on this easy-to-install material. The low moisture absorption helps protect the board long-term.